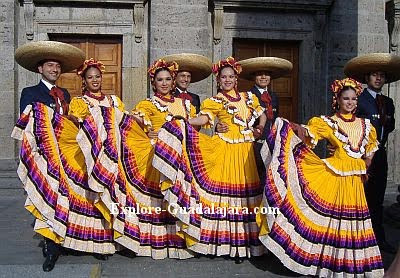 A huge part of the Guadalajara's culture includes traditional dance and music. Dance in Guadalajara is very famous and popular worldwide...Ballet Folklorico is performed all over Mexico, but only the "Mexican Hat Dance" or "Jarabe Tapatio" in Spanish is honored as being Mexico's National Dance. Mariachi usually involves men in their elaborate costumes and sombreros singing lovely ballads to beautiful senoritas. Jalisco is home to the Mariachi and Guadalajara and even hosts a worldwide Mariachi festival every year in September. "What makes the Mariachi so special is that not only did they originate from Jalisco, but it can only be considered a true "Mariachi" if they dress and use the same song style as that of Jalisco."